No matter how much our extroverted culture keeps hassling you about it, subtly and not so subtly, your introversion isn’t something you need to apologize for. Or justify. Or constantly defend. But it’s hard not to when it feels like extroverts run the world. So sometimes you—or the people around you—need a crystal clear, tangible reminder of what you deserve in life. 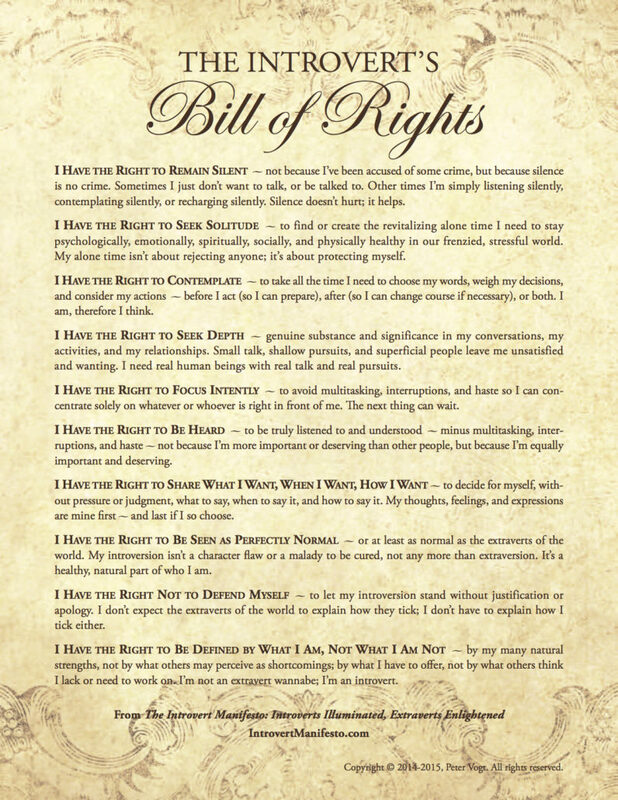 That’s The Introvert’s Bill of Rights: The 10 inalienable rights of introverts everywhere, at a glance, in a gorgeous and inspiring 11-by-17 inch, glossy poster. Frame it, hang it on your wall, and let The Introvert’s Bill of Rights do the talking. It will speak to you. And for you. 1 Want to buy The Introvert Manifesto directly from me and have me write a personalized, inspirational message inside? Take the PayPal route—and use the ordering instructions to briefly tell me what sort of message you’re looking for (and for whom, as the case may be). 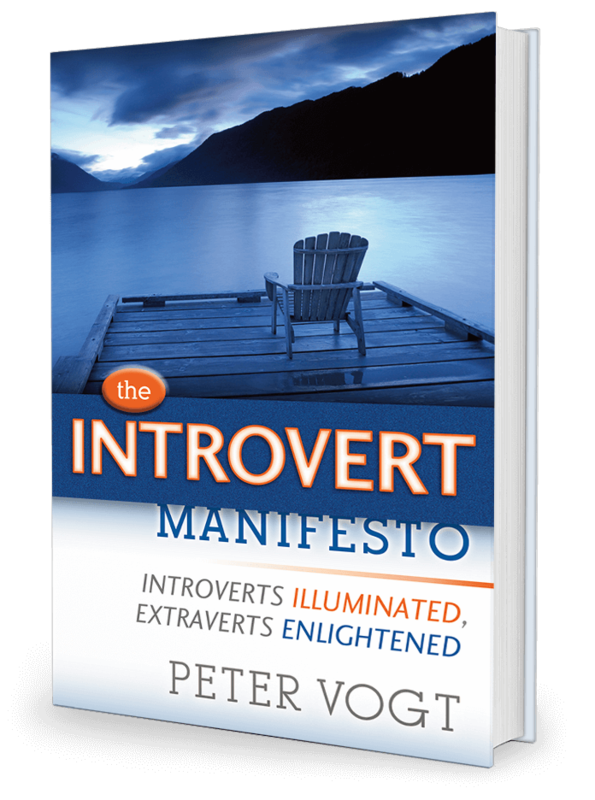 2 Want to simply buy The Introvert Manifesto and get it as quickly and cheaply as possible? Take the Amazon route.